It is with great pleasure that I welcome you to the 2018-2019 school year…. A year where we are Focusing on Cultivating Champions and Putting our Excellence on Display. When asked about the greatest boxer of all times, most people would unanimously say Muhammad Ali. When asked about the greatest Olympic basketball team of all times, most people would declare the 1992 Dream Team. When asked about the greatest middle school in South Dade, the answer is Homestead Middle School. At Homestead Middle, we offer students a well-rounded educational experience including challenging academics, competitive sports and a host of student services that aid students to reach their full potential. 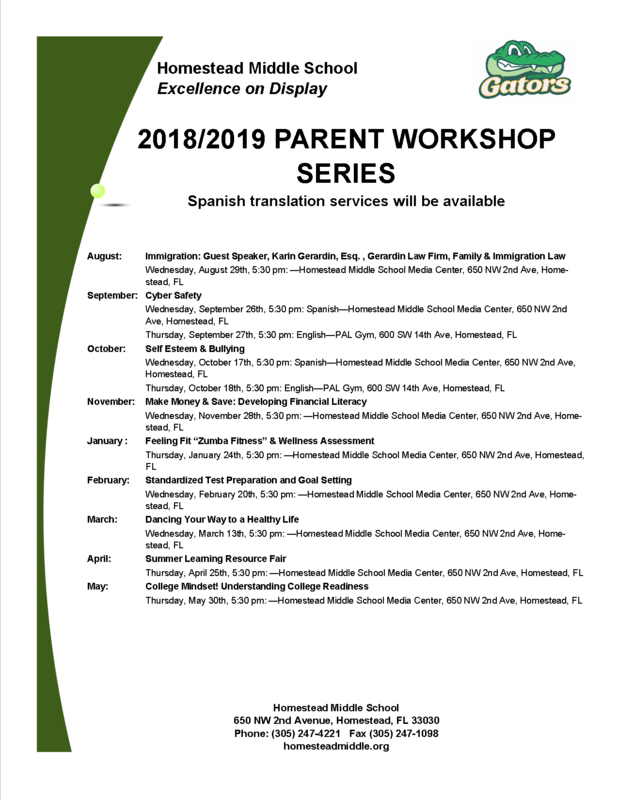 Additionally, Homestead Middle is home to a strong international baccalaureate magnet program ensuring students are exposed to the power of international awareness and service with the backdrop of language. This year promises to be one for the history books, and we welcome you to help us write this great and excellent story.